The National Nuclear Security Administration and the Tennessee Valley Authority announced last week that they intend to enter into an agreement to “down-blend” highly enriched uranium to low-enriched uranium in order to help produce tritium, a key “boosting” component in nuclear weapons. The highly enriched uranium used for the “down-blending” is processed, packaged, and shipped from the Y-12 National Security Complex in Oak Ridge, according to the NNSA. Y-12 is the main storage facility for certain categories of highly enriched uranium, which can be used in nuclear weapons and in naval reactors. Low-enriched uranium, or LEU fuel, is used in a commercial power reactor run by TVA at the Watts Bar Nuclear Plant Unit 1 near Spring City in Rhea County, southwest of Oak Ridge. Tritium is produced there by irradiating lithium-aluminate pellets with neutrons in rods known as tritium-producing burnable absorber rods, or TPBARs. The irradiated rods are then shipped to the Savannah River Site, an NNSA production facility near Aiken, South Carolina. The Savannah River Site extracts the tritium from the irradiated rods, purifies it, and adds it to the existing inventory, according to the NNSA’s Fiscal Year 2018 Stockpile Stewardship and Management Plan. Tritium is a radioactive isotope of hydrogen that has two neutrons and one proton. It has been described as an essential component in every nuclear weapon in the U.S. stockpile. It occurs naturally in small quantities but must be manufactured to obtain useful quantities. It enables weapons to produce a larger yield while reducing the overall size and weight of the warhead in a process known as “boosting,” the U.S. Department of Energy said in an environmental impact statement about 20 years ago. But unlike other nuclear materials used in nuclear weapons, tritium decays at a rate of 5.5 percent per year—its half-life is about 12 years—and it must be replenished periodically. The NNSA, a separately organized agency within DOE, said the agreement with TVA that was announced last week is for management of the down-blending campaign and the resulting material. It’s separate from an existing interagency agreement for irradiation services that started in 2000 and is in effect until November 30, 2035. “Without this down-blending campaign, we would need to accelerate the development and execution of a strategy to provide LEU fuel for tritium production by nearly a decade,” said Phil Calbos, NNSA’s acting deputy administrator for defense programs. The new agreement follows a determination by U.S. Energy Secretary Rick Perry on August 21 that allows the NNSA to continue transfers of enriched uranium from DOE’s inventories in support of national security, the NNSA said in a press release. For the first time in 30 years, spent nuclear fuel from the High Flux Isotope Reactor at Oak Ridge National Laboratory has been dissolved at the Savannah River Site in South Carolina. The work is important because it is expected to allow the reactor, known as HFIR, to continue its mission, according to the U.S. Department of Energy Office of Environmental Management. HFIR, which uses highly enriched uranium, is one of the world’s most powerful nuclear research reactor facilities. It’s the highest flux reactor-based source of neutrons for research in the United States. Flux refers to the rate of flow of fluids, particles, or energy. In HFIR’s case, the flux is measured in neutrons per square centimeter per second. HFIR is used for neutron scattering and isotope production, among other missions. The Y-12 National Security Complex in Oak Ridge has been approved to build parts for a system being replaced in the W88 nuclear warhead, which is deployed on submarine-launched missiles, according to the National Nuclear Security Administration. The W88 has been a key part of the nation’s nuclear deterrent since it became part of the weapons stockpile in 1988, the NNSA said on its website Tuesday. But it needs maintenance. The W88 Alteration (Alt) 370 program will replace the warhead’s Arming, Fuzing, and Firing, or AF&F, subsystem and address other aging issues to maintain its current state of readiness, the NNSA said. U.S. Department of Energy officials have released a new plan to address mercury contamination at the Oak Ridge Reservation in Tennessee and Savannah River Site in South Carolina. It advocates for research and the development of technologies that could resolve key technical uncertainties with mercury in environmental remediation, the deactivation and decommissioning of facilities, and processing waste in tanks. The Oak Ridge Reservation and Savannah River Site both used mercury in industrial-scale processes. At the Oak Ridge Reservation, large quantities of mercury were used at the Y-12 National Security Complex from the early 1950s until the early 1960s. During the peak period of operations, according to estimates from the Oak Ridge Office of Environmental Management, or OREM, 700,000 pounds of a total 20 million pounds of mercury that were used were released into the surrounding environment. 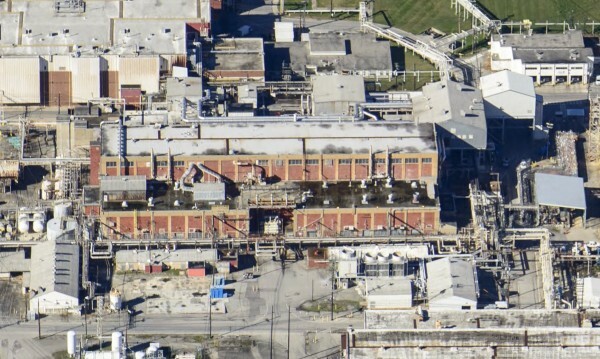 Ongoing mercury abatement and remediation efforts at Y-12 that began in the 1980s have decreased overall mercury releases to the environment, the DOE Office of Environmental Management, or EM, said in a May 31 newsletter. Filed Under: East Tennessee Technology Park, Front Page News, Top Stories, U.S. Department of Energy Tagged With: Andrew Albenesius, Betsy Child, Caroline Barber, Cathy Hickey, City of Oak Ridge, Community Reuse Organization of East Tennessee, DOE, DOE Sustainability Performance Office, DOE-Savannah River, East Tennessee Technology Park, ETTP, Gil Hough, Gill Sallade, John Harley, John Seale, Parodio Maith, Perry Spurling, Powerhouse Six, Rick McLeod, RSI, Savannah River Nuclear Solutions, Savannah River Site, Savannah River Site Community Reuse Organization, solar array, solar plant, SRSCRO, U.S. Department of Energy, U.S. Department of Energy Sustainability Award, UCOR, URS-CH2M Oak Ridge LLC, Vis Solis Inc.
Dismantlement of W69 canned subassemblies has been completed at the Y-12 National Security Complex, officials said Friday. The W69 was the warhead for the short-range attack missile, or SRAM, and it was retired from the U.S. nuclear stockpile in 1992. The last W69 weapon was dismantled in 1999. The Y-12 site originally assembled the W69 canned subassemblies, or CSAs, in the 1970s and began disassembly in 2012.